Have you been taking pictures with a point-and-shooter or cell phone camera for years? The world is a beautiful place, and every corner is worth the shot. 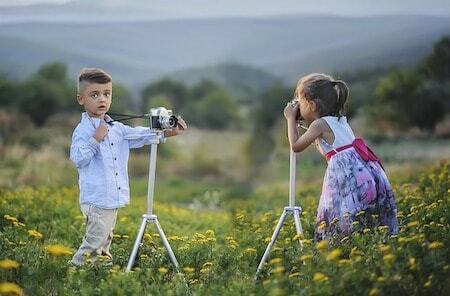 So why settle on mere camera lenses when you can upgrade them and dive deeper into the world of photography? If you are wondering how to choose a camera lens, then you have come to the right place. You ought to know by now the important role of lenses in image capturing and processing. Investing in a good camera lens leads to sharp photos with significant amounts of detail and contrast. The aperture pertains to the maximum amount of light that a lens can collect. Large aperture means the lens can gather a greater amount of light compared to smaller ones. In addition to that, the aperture also dictates the field of depth. In this case, a small number means a wider aperture and a higher amount of light knocking the sensor. The focal length determines the distance the lens can reach by zooming in or out. The standard measurements of focal lengths are 18mm, which can take a very wide distance; and 250mm, which can get objects from afar really close. The lens should securely attach to the camera. While most camera manufacturers produce lenses that fit only their products, there are also a few cameras with multiple lens mounts that fit different lenses. Hence, the lens mount is an important consideration before buying any lens or camera. When learning how to choose a camera lens info, it is very important that you look into the different types of lenses. Whether you are a professional or budding photographer, there are different types of lenses that you can choose from. A fixed lens is ideal for beginners as it is the most inexpensive lens in the market. Also called prime lens, it has a steady focal length, typically 35mm or 50mm. The 35mm focal length imitates the image that the human eye sees. While a fixed lens is very easy to use, one drawback is that it doesn’t feature zoom capability. 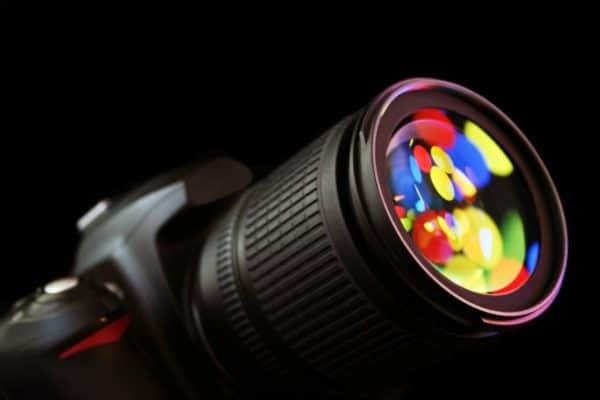 Compared to other lenses, a fixed lens produces higher-quality images. It has a wide maximum aperture, which is great for portrait photography. 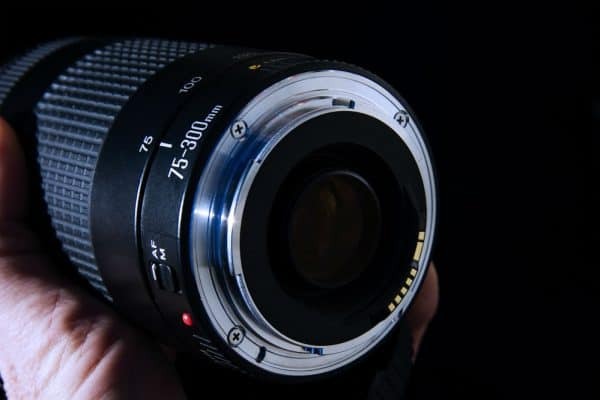 Compared to a fixed lens, the zoom lens can be adjusted to an array of focal lengths. A typical zoom lens has a focal length range between 18mm to 200mm. They are great for taking different shots including landscape and macro. Zoom lens, however, can be really expensive and heavy. It can be stashed when traveling, but different zoom lenses require a dedicated bag. A macro lens can take images at a very close angle. It can enlarge tiny objects and include the most detail and sharpness. It can be used to take detailed and sharp images of insects, flowers, complex patterns, and grass. Photographers who shoot sports or wildlife use a telephoto lens. It is one of the most expensive and heaviest types of lenses because it has a very powerful zooming capability. It can take distant objects and make them appear like they were in front of the eyes. If you want to see an angle wider than the human eye can see, the wide-angle lens is for you. It can shoot landscape images or an entire room because it has a wider field of view compared to other types of lenses. However, a wide-angle lens can distort an image, but this can appear as an artistic point of view. Camera lenses are an investment. Hence, it is only natural that you would want to keep them for as long as possible. Luckily, you can do so by learning how to maintain them the right way. In order to prevent scratches, always make sure that the lens caps—front and rear—are always on when the lens is not in use. Consider using a protective filter to shield your lenses from the elements as well as dust, dirt, fingerprints, and smudges. Invest in a lens care kit. Most lens care kit contains a two-sided brush and foam used to remove smudges, a cleaning agent, bulb blowers, cotton swabs, and a special cloth. As much as possible, use a hard case storage bag to keep your camera and lenses in. When traveling by car, never place your camera and lens bag on the floor where it will absorb all the shocks and vibrations of the engine. If you live in an area that is moist, damp, or humid, consider investing in a digital cabinet. This is a temperature-controlled storage box that can protect your camera, lenses, and filters from fungus. Choose a camera and lens bag that is equipped with partitions. In this way, it would be easier to store your equipment and have them safely distant from one another. If you must, you can choose to wrap your camera and lenses in a lint-free material so as to keep it safe from dust or prevent any scratches. A professional camera is a good investment. It can take photos with much details and sharpness compared to phone cameras and point-and-shoot cameras. For beginners, the kind of lens that you can start with has a focal length of 50mm and aperture of f/1.8. This lens is flexible and can take sharp photos from distant images. Once you get used to a beginner lens, you can invest in more sophisticated lenses such as 35mm or 85mm. While they can be really expensive, they can take objects with excellent image quality. They allow you to adjust the settings according to your photography skills and desires. Nikon D3400 vs Nikon D5300: Which Is the Better DSLR for Beginners? Founder of Digital World Beauty website. My purpose here is to provide easy-to-understand guides and reviews on digital technology to make YOUR life easier and help YOU make as informed of a decision as possible. Hey, my name is Zarina and I am the founder of Digital World Beauty. After having had an accident and surgery and not being able to walk for months, it occurred to me that I can share my passion for photography with you through words. The main objective here is to help you navigate the waters of becoming a great photographer. My team and I will also provide all of the advice, guides and reviews on digital technology so you can make an educated buying decision. I hope you enjoy your experience here! ✓ How to Make Money Through Your Photography (eBook). Digital World Beauty Copyright © 2019.